Having pearly white teeth is a great reason to smile and is a great confidence boost. Keeping those teeth nice and white doesn’t have to be difficult if you keep these tips in mind during your daily routine in addition to visiting our Concord cosmetic dentist for professional services. 1. Avoid foods that stain. Certain foods stain your teeth and take away from their brightness. These include coffee, tea, red wine and dark sodas. If you do want to drink these, it’s best to use a straw to bypass your teeth. Brush immediately after consuming any of these to prevent stains from forming. 2. 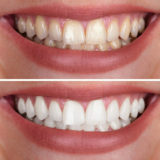 Use professional whitening products. Don’t waste your time buying over-the-counter kits to whiten your teeth. They’re ineffective for the long-term and tend to be messy. It’s much more effective to consult with a Concord cosmetic dentist about a professional teeth whitening to keep your smile bright and white. 3. Choose a whitening toothpaste. Select a toothpaste with whitening agents in it to help prevent stains from forming. They are specially formulated to prevent staining and discoloration. You can also brush once a week with baking soda, which has multiple uses including whitening teeth and removing stubborn stains. 5. Gargle regularly. Always use mouthwash to give your whole mouth a fresh feeling, not just your teeth. 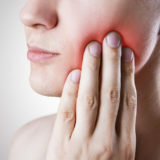 Avoid those with alcohol since they tend to dry your mouth out. If you prefer a natural alternative, apple cider vinegar has natural whitening properties and is a great alternative to typical mouthwash. We want to help you maintain your beautiful smile. Call our Concord dentist office today to schedule an appointment to see what we can do for your teeth. previousI Want To Whiten My Teeth, But Is It Really Safe? nextPut Your Best Smile Forward This Wedding Season!